FRESH off a remarkable victory over the juggernaut that is German powerhouse Bayern Munich in the Champions League, Arsenal returns home for a clash with traditional rival Everton. 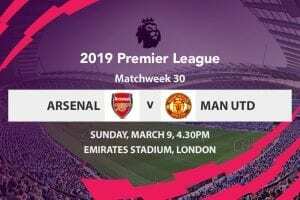 And, with neither table leader Manchester City or third placed Manchester United in action until Monday, the second placed Gunners will be shooting for top spot as they welcome the Toffees to Emirates Stadium. Arsenal, two points behind City, is on a three match winning streak in the league and will be be buoyed by the brilliant 2-0 win over the undefeated top of the table Bundesliga champs. Goals to Olivier Giroud – not that he knew much about it – and Mesut Ozil ensured the Gunners survived at least another match day in the European competition after a poor start had left it under threat of being dumped out in the group stages. And that win has given manager Arsene Wenger a huge boost in the league. “It (the win) can strengthen our belief and strengthen the belief of people of around us, our fans,“ Wenger said after the massive victory at Emirates Stadium. “We won 3-0 against Manchester United, 3-0 against Watford and 2-0 (over Bayern), so it is important we have a good balance between defending well and attacking well. “As long as we defend well and score goals then the balance is right. “We had an absolute necessity to win the game and we did it in an intense and disciplined way. “It was a top level game between two top level teams. “Bayern had more possession than us, but we decided to make it tight in our final third and catch them on the break. The Gunners have fired in 11 goals in three weeks on the back of a 5-2 result at Leicester and then back to back 3-0 wins over Manchester United and then Watford. In the breezy most recent result, the Gunners were relatively untroubled by Watford, smashing three goals in 12 minutes in the second half, courtesy of Olivier Giroud, Aaron Ramsey and the rejuvenated Alexis Sanchez. The bad news for Arsenal is that Ramsey was injured in the clash with Bayern, pinging a hamstring and being subbed off just 12 minutes into the clash, and is set to miss against the Blues. And star attacker Sanchez could also miss the match, to provide for a freshen up, due to his heavy work load. “He (Ramsey) is alright but very down because he told me that his hamstring is quite a tough one – he’s out,’ Wenger said. “Alexis? You could see he was jaded physically. “He still pushes himself too much and finished exhausted (against Bayern). “Two games with Chile, plus travelling plus Watford and Bayern. Fortunately for the Gunners, they have a plethora of talented midfield players to call upon in their absence, with the likes of Alex Oxlade-Chamberlain and Theo Walcott set to feature prominently. Everton has mixed inconsistent form with some solid results, but most recently copped a hammering at the hands of Manchester United at Goodison Park. And, after getting blasted off the park by the Red Devils, it doesn’t get any easier for the Toffees, with an away trip to Arsenal, but striker Romelu Lukaku says his side is embracing the challenge. “When we have played against Arsenal, we have had some good results,” Lukaku said. “Now we have to make sure we work harder because it’s not going to be an easy game. And the Blues have also been boosted by the return of Steven Pienaar to training, after a long injury lay off. The South African international has not played a single game for Everton this year, but did trot out with the club’s under 21 side this week. While he won’t feature against Arsenal as he still has work to do to be match fit for the top grade, manager Roberto Martinez said the side was uplifted to see him back on the park. “Sometimes you get into a wrong momentum and wrong dynamic and the more you want to get back, you get a little bit of a set-back and you push your body even more,” Martinez said. “And then that develops a chain of effects where everything goes against you. “Unfortunately, Stevie has been far away from feeling happy, feeling like a footballer and feeling as though he can enjoy his football, and we need to help him. “Now, we are being extra cautious with his recovery and giving him extra time to give him a good period of adaptation. Recruit Tom Cleverley also made his return to football in the under 21s with Pienaar after a two month layoff. He won’t play against the Gunners either, but both men will feature heavily later in the season as Everton seek to improve on their current ninth placing in the league. 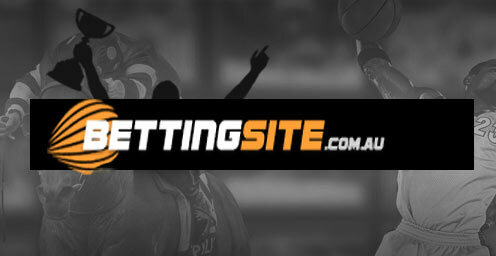 We’re tipping three for three from three. A third game in a row where the Gunners win 3-0. Arsenal has won the past three games against Everton, slotting two, three and two goals, with Everton scoring just once. Before that, it did have a 2-2 draw and a famous 3-0 win, but the Toffees’ ability to emulate that looks a long shot. 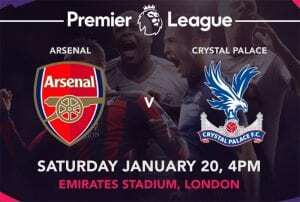 Arsenal is in serious form, having won five of its last six league matches and, on its home deck, should be able to easily account for an Everton side that has not quite put it together this season. It also has not conceded a goal at home in its past three matches, so we feel the 3-0 result is a nice, well-rounded figure that the Gunners are more than capable of producing. Everton has not set the world on fire in front of goal in recent times, so we think the $2.36 on offer for them not to score is overs. Expect the likes of Ozil, Cazorla and company to boss the midfield, providing plenty of opportunities for Walcott and Giroud in attacking positions. The hard working midfield combination of McCarthy, Barkley and Barry will have its work cut out for it in this one. And while Everton features one of the brightest young central defenders in the Premier League, John Stones is only one man and he will be under the pump against such a talented attacking force. The Arsenal speedster’s blistering pace was too much for Bayern Munich to handle and he really should have had the Gunners 1-0 up early, but his point blank header was turned away brilliantly by keeper Manuel Neuer. The 26 year old English international has two goals and two assists in the Premier League this season, but will have a great opportunity to get in behind the Everton defence, hopefully benefitting from the sublime form of pass master Ozil. The Ox should get a gong in place of the injured Ramsey and this guy is a constant threat when on the pitch. Almost as quick as Walcott, the duo is a nightmare for any opposing defence. While Walcott is the silky whippet, this guy is the raging bull, running at defenders and barging his way into the box to create chances. You can almost guarantee that The Ox will find himself with one or two clear cut goal scoring opportunities in this match, let’s hope he does the right thing by our punters and sends them into the back of the net. Speaking of raging bulls, if there’s a stronger striker in the Premier League than Romelu Lukaku right now, we haven’t seen him. The prized Belgian is a man mountain who has superb control of the ball, both in the air and at his feet. He will be the man Arsenal fears most in the attacking third and the man they must stop. Good luck. We said Lukaku is the man Arsenal most fear and that opens up significant doors for the unheralded Naismith. This bloke looks more like he should be sitting behind a desk working a 9-5 than stepping out in the toughest football competition in the world, but that, too, helps him on the deck. Naismith has been getting into the teeth of defences for years and he has serious form against the Premier League’s powerhouses – Just ask Chelsea supporters, who are unlikely to ever forget his hat trick as a substitute against them a month ago.